Are you involved in Additive Manufacturing (AM)? At Lucideon we provide all the support you need to develop and optimize your AM products and processes. 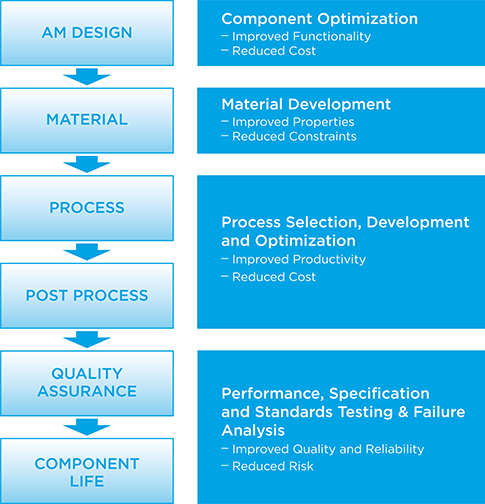 Whether you need testing and validation of your additive manufactured components, failure analysis to find the root cause of issues and to stop them reoccurring or process optimization and additive manufacturing materials development, we can help. With a backbone in R&D, testing, analysis and assurance, our materials and process experts offer support to engineering, operations and supply chain. How do I prove that the product performance meets my design criteria? How can I ensure that I have consistent quality with an optimized process? How can I reduce my risks while moving manufacturing to an AM process?